If you have any questions, feel free to email me. Thank You! 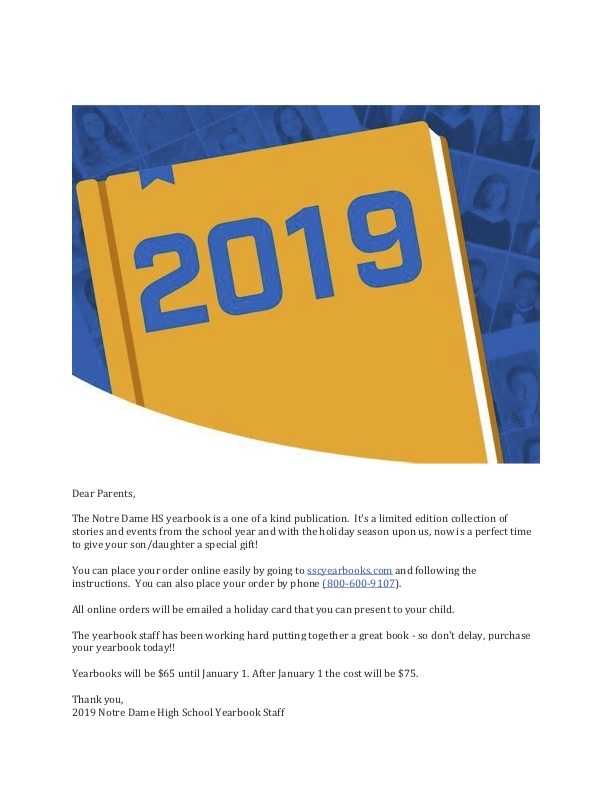 The Notre Dame yearbook is an extracurricular activity where students are challenged to publish a quality book chronicling the school year in pictures and words. The Yearbook is entitled MEMORARE. It has been published annually since the earliest years of Notre Dame’s history. This extracurricular activity gives students the opportunity to learn varied skills, from publishing and design layout, to teamwork, leadership and time management.